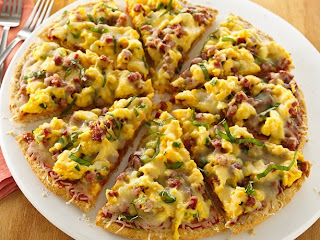 This recipe from Betty Crocker for Pepperoni Breakfast Pizza is a mix of two of my family's favorite foods. Eggs and Pizza. I think if I do try to make it, I might change the crust to cresents rolls instead of making a bisquick crust. I serves 8 and looks very filling. If you like this recipe, make sure to check Betty Crocker to vote for your favorite spring recipes.